Westlife has been a part of our musical world since late 90s up to present. The boyband made impact to the world of music with their sweet to live pop songs and even their covers and remakes. To the adult to young adult women of today's generation, these lads were prince charmings who serenaded their radio and ipods and so were the concert grounds all over the world. All things they say should come to an end for the better and just last year, they decided to disband and go on separate ways and one of them is their front man who possesses amazingly powerful voice, Shane Filan. 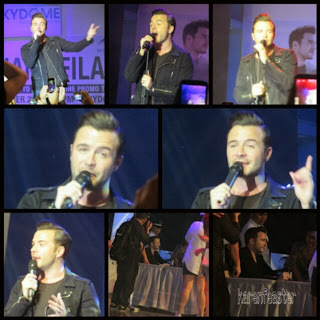 Just last September 28, 2013 at SM North EDSA Skydome, the nightingale lad graced his Filipino fans for the fifth time but as a solo artist promoting his album. There were a hundred lucky fans who had a chance to meet him face to face before his performance.